We’ve been conditioned by television and movies to accept the likelihood of intelligent life elsewhere in the universe. “Of course there’s intelligent life out there; I saw it last week on Star Trek.” We’ve seen it all, from the cute and cuddly ET to the fanged monstrosity of Alien. But is it likely that we’re not alone in the universe? And if intelligent life is out there, why haven’t they contacted us yet? The first person to address this question in a systematic way was Frank Drake, who invented the Drake equation to predict the number of extraterrestrial civilizations in the galaxy. His equation is rather complicated, but here’s a simple version of his argument. First, let’s count how many stars are in the galaxy. To quote one of my predecessors, “Billions upon billions!” And how many of those stars have planets? Until recently, we really didn’t know. But over the past 20 years, astronomers have made remarkable progress in discovering planets around other stars. We now know that many stars have planets orbiting them. Looking for a planet that’s juuuuust right. Now we enter murkier territory. How likely is it that life will develop on a potentially habitable planet? We don’t know the answer, but life on Earth got going very shortly after the formation of our solar system, and it has wedged itself into every available niche, no matter how hostile. The tardigrade – microscopically cute and cuddly. Colonies of bizarre creatures flourish in perpetual darkness near deep ocean vents, where superheated sulfur-rich water spews from under the ground. Radiation-resistant bacteria bask happily in levels of radioactivity that would instantly kill a human being. 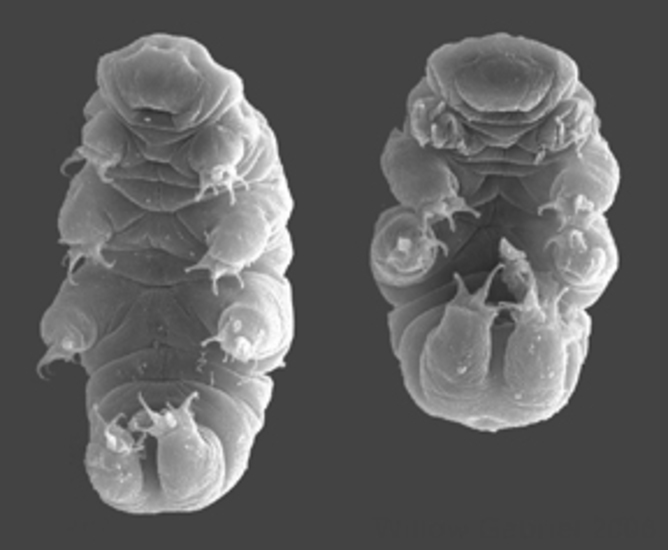 And then there’s the tardigrade, which looks like a microscopic eight-legged teddy bear, that can thrive in liquid nitrogen or boiling alcohol. So the probability of life developing on habitable worlds seems very high. And how likely is it that this life will develop intelligence? This remains an open question (which is scientist-speak for “we haven’t got a clue”). But many scientists consider intelligent life almost inevitable, in which case the galaxy should be teaming with alien civilizations. 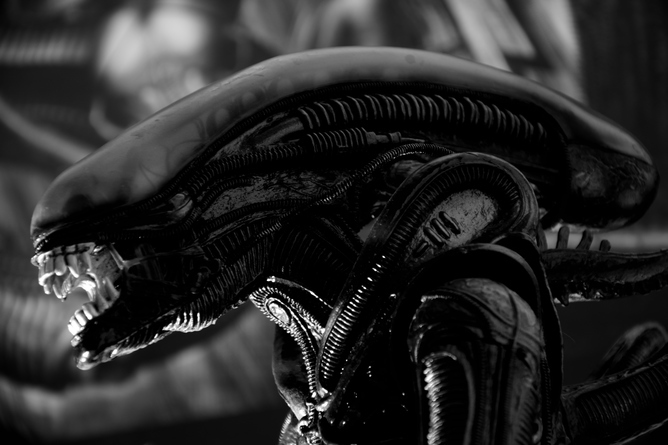 If the galaxy is crawling with aliens, where are they? Interstellar travel is limited by the speed of light, so maybe it’s no surprise that no one has visited us. But we should at least be able to detect alien radio signals, either from attempts to contact us directly, or in the form of alien TV reruns. 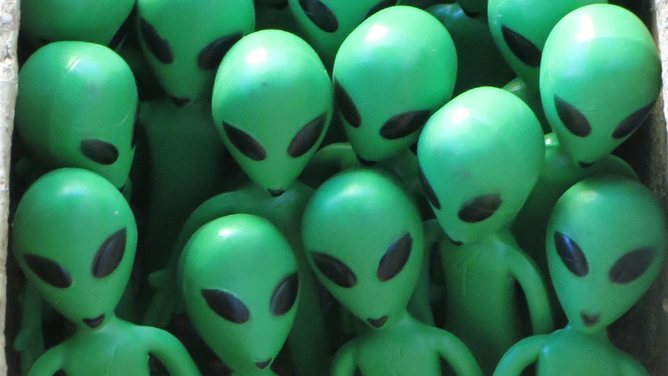 Why haven’t our alien friends contacted us? This question was famously asked by the Italian physicist Enrico Fermi, so it’s called the Fermi paradox: all of our arguments suggest that alien civilizations should be common, yet we’ve seen no sign of them. One possibility is that intelligent life really is rare. My own personal opinion (and it’s just an opinion) is that life is common, but intelligent life is rare (something many of us suspect based on our own experience). While life developed in the relative blink of an eye after the birth of the solar system, it took billions of years before we smarties showed up on the scene. And remember that “survival of the fittest” doesn’t always mean “survival of the smartest.” While intelligence is certainly a useful survival trait, it seems far from inevitable. 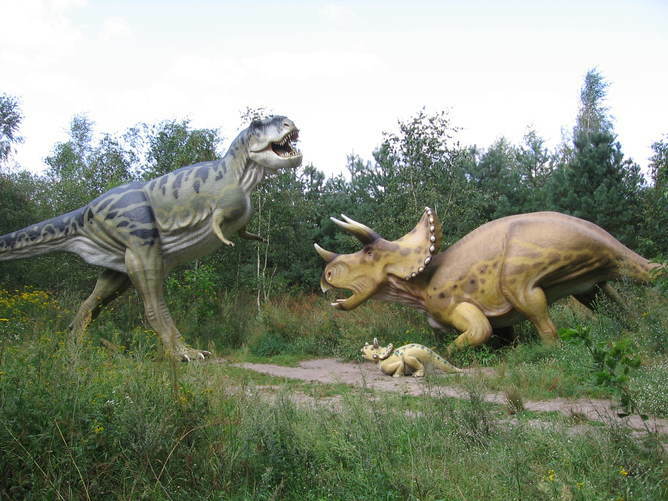 If not for an errant asteroid, the dinosaurs might still rule the world. Is it cosmic luck these guys are gone and we’re on top now? Another possibility is that intelligent life inevitably destroys itself. Until recently, our options for total self-destruction were limited to nuclear weapons. But we are on the edge of expanding our armada to include genetically engineered viruses (think: Ebola meets the common cold!). And consider the dangers posed by nanomachines, tiny self-replicating robots programmed to convert matter into more robots. Imagine a tiny robot, no bigger than the width of a human hair, designed to provide some useful function, programmed to build a copy of itself, using materials from its environment. Now you have two machines, and both can create duplicates, giving us four machines. But what if this process got out of control? The nanomachines could rapidly consume the entire Earth, converting it, along with everyone on the planet, into “grey goo.” British astronomer Martin Rees discusses these and other catastrophic possibilities in his book, Our Final Hour. Have all our potential alien visitors succumbed to self-destruction? Among the more speculative possibilities: maybe the galaxy is a dangerous place, full of robotic probes sent out by hostile aliens to wipe out any competition, so everyone else is in hiding. Perhaps we really shouldn’t have put a detailed description of the location of our solar system on our own space probes. 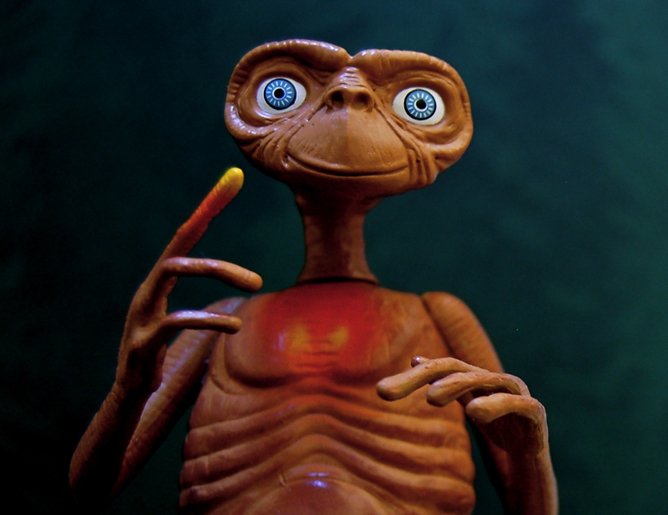 It’s a bad idea to reach out and try to touch ET when we might get a call from the Alien instead. An even more bizarre suggestion is that superior civilizations have decided to avoid contact with lesser beings such as ourselves, so that we live in a kind of cosmic zoo, complete with a “Do not talk to the animals” sign. 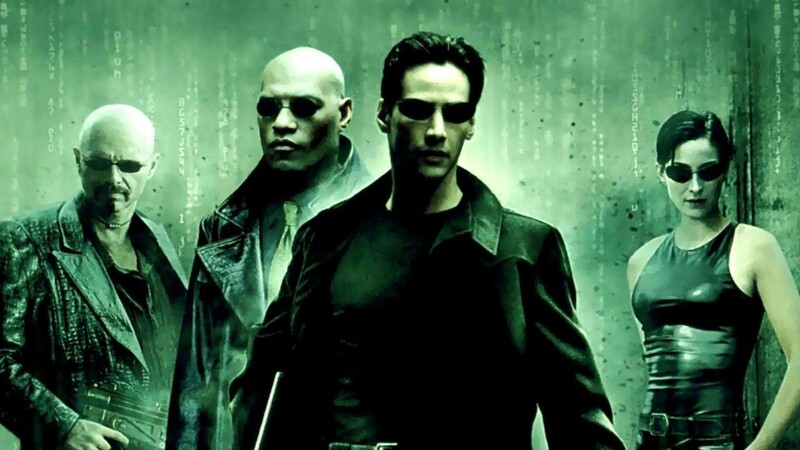 Some have even suggested that we live in a gigantic computer simulation, a la The Matrix. A longer list of possibilities (along with a skeptical discussion) has been compiled by astronomer Milan Ćirković. Without more data, the Fermi paradox will remain, for now, unresolved, and many of the proposed solutions will have to be classified as “speculative.” And now you know exactly what that means. Robert Scherrer is Professor and Chair of Physics and Astronomy at Vanderbilt University.